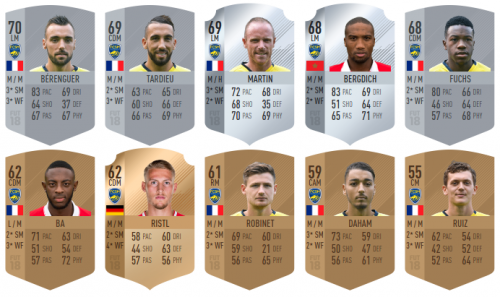 We also provide you a « FacePack » containing the pictures of every player at the club. 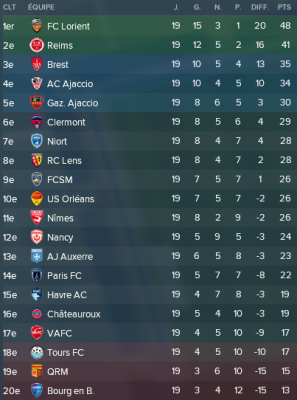 The Lionçaux are ranked 9th after 7 wins, 5 draws and 7 loss, scoring 24 goals and conceding 23. 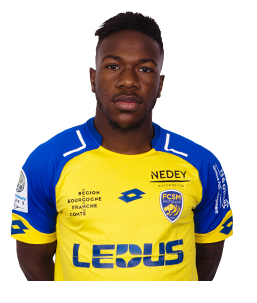 We’ve seen Florent OGIER, Mickaël ALPHONSE, Florian TARDIEU, Florian MARTIN and Aldo KALULU making a very good first half of the season, while it has been quite complicate for Jeando FUCHS, El-Hadji BA and Pierre GIBAUD. Moussa SAO and Aksel AKTAS didn’t start yet because of injuries. Things to note : Alexandre NSAKALA and Boris MOLTENIS made their first team debuts in the cup, making the most out of Maxence LACROIX and Salem MBAKATA’s injuries. Martin FRANCOIS, Aubin LONG, Melvin SITTI and Loreintz ROSIER where also given their chance while Loreintz stood out by entering the rotation by playing 5 games and giving an assist. 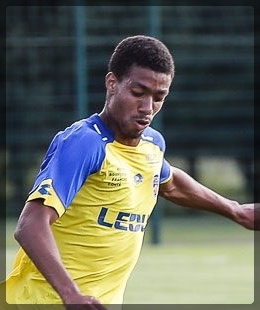 Concerning loans, two players have been sent out to National 2 teams : Rayan Senhadji to ASM Belfort (18 games, 1 goal) and Bryan Lasme to Annecy FC (18 games, 9 goals and 3 assist). 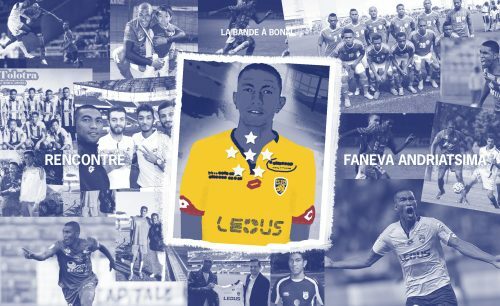 Two other are on loan in National 3 teams : Maxime Juanole to Louhans-Cuiseaux FC (14 games, 16 goals conceded) and Gaetan Beuve to FC Mulhouse (12 entrances, 4 goals). For the little story, the World Cup draw have designated FRANCE to face POLAND, EGYPT and COSTA RICA in their group. 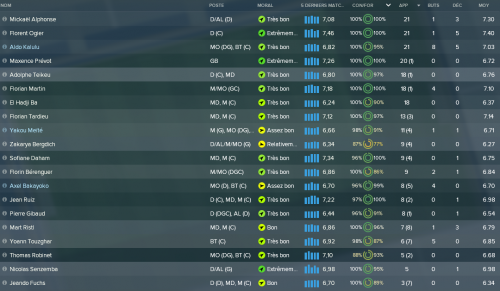 Can you make a better job than PETER ZEIDLER in Football Manager 2018 ? It’s on you now ! 3. Load up FM 2018 and go to « Preferences ». Then go to « General » settings, From there, you will have four different panels. You will need to look at the panel with the title of « General ». At the bottom of this panel, there is an option that says « More Interface Settings » – click this.You should now have been taken to a new screen. Under the « Appearance » panel, there will be a button saying « Clear Cache ». Once you have clicked this, tick the box that says ‘Reload skin when confirming preferences’ and press « Reload Skin » in the bottom right hand corner. The images are now being added to your saves. 3. Start a new save. On the configurations, click on « Data base » on the top right corner and tick « Update_Sochaux ». 4. You now just have to set the other options and enjoy yoursave>. Warning : You will have to start a new save to use the update.